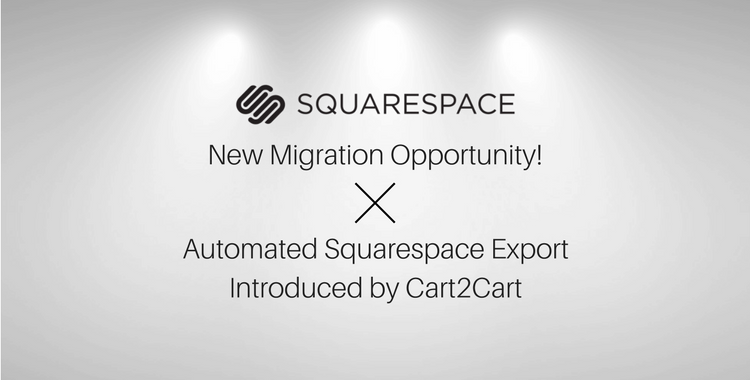 Cart2Cart is excited to introduce the support of Squarespace export! Now you can reach new horizons by conducting Squarespace migration to one of 75+ top performing e-Commerce solutions, including Shopify, Bigcommerce, WooCommerce and others. Squarespace is ruling the root among website-builder industry and facilitate the path to first sales for newbies. However it doesn’t offer a complete set of e-Commerce features to get your store on a more professional level. With this in mind Cart2Cart now lets you make a migration from Squarespace to a fully-fledged shopping cart in just a few mouse clicks. Enjoy a qualitative and automated transfer of products, variants, attributes, categories, customers, orders, CMS pages and other related entities with no coding or software setup involved. Our reliable 24/7 support team will answer all your migration-related questions to secure seamless transition experience. Also -- in your best business interests -- we guarantee 100% uptime of Squarespace store during the whole migration procedure! Get ahead of competition and perform Squarespace migration easily -- launch a FREE Demo Migration now and move a limited number of entities to your live target store!